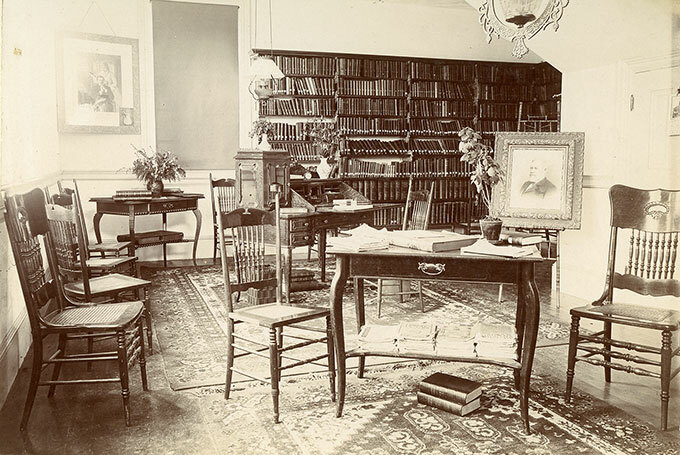 In 1796 a group of townspeople in Blue Hill expressed a desire “to become acquainted with the customs and manners of the world and every other useful knowledge.” They opened the town’s first library in a corner of the local grocery store. The grocer doubled as librarian. 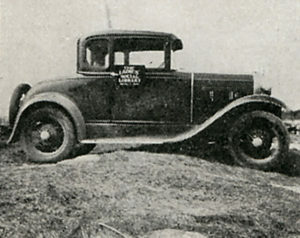 Overdue fines were six cents a week, with additional fines of two cents per page for spilled drops of oil or tallow. Jonathan Fisher, the first settled minister in Blue Hill, designed a book plate for the library that is still in use today. 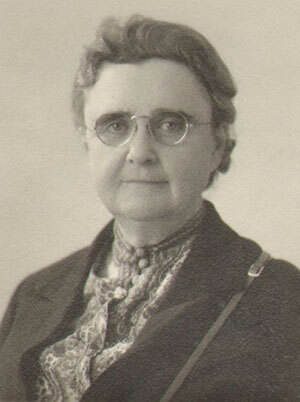 In 1930, Adelaide Pearson took a leadership role on the Ladies Social Library board and committed to paying the salary for a professional librarian. Anne Hinckley, a recent Colby graduate was hired to implement Miss Pearson’s vision of a full service public library for Blue Hill. 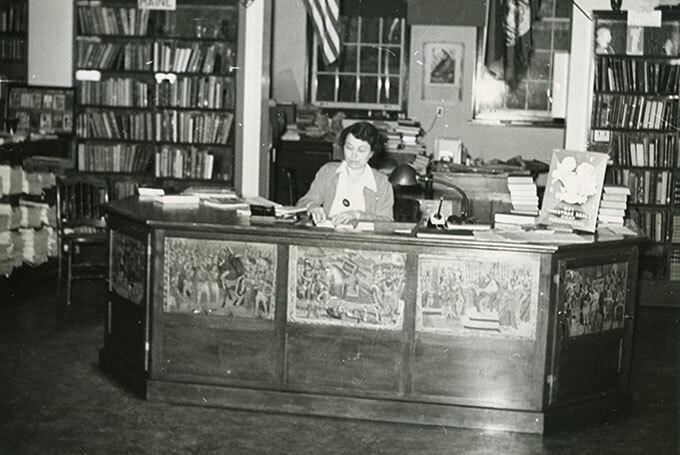 What sometimes called the “Blue Hill Experiment” offered a robust array of services for all ages where books were just the beginning- “not the main province of this library . . . merely an incidental byproduct.” The library offered everything from a party planning service to exhibits of historic treasures, and even had a car to bring services to area schools and people who were unable to come to the library. A primary focus was the development of library programs in the 7 Blue Hill elementary schools and George Stevens Academy. The collection had grown considerably as well and library use doubled in a matter of years. The town hall location was deemed too small. She began a fundraising campaign to buy a vacant lot on the corner of Main Street and Parker Point Road. 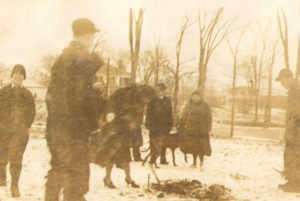 Local pledges ranged from 20 dollars to 25 cents, to “one dollar or a day’s work.” With the help of Mrs. Hinckley, Adelaide Pearson petitioned the federal government for funds from the Public Works Administration, which had been created in response to the Great Depression to build large-scale public projects. During 1938 and 1939, it remained unclear if the project would go ahead until Anne Hinckley traveled to Washington and was able to secure the PWA grant in person. At last, in March of 1940, the handsome new brick building designed by Bunker and Savage Architects of Augusta opened its doors. It was 12 degrees below zero. By 2000, the library was once more outgrowing its space. Ground was broken for a $2 million expansion and renovation, funded by the generous patron donations (whose names can be seen on plaques throughout the library and in the tiled parking lot entryway). Three wings were added to the original 1939-1940 building, including a large children’s room and meeting room. When the building was finished in 2001, the library had doubled its usable space. Dorris Parker presides at the circulation desk. The collection now consists of more than 40,000 items, including audiobooks, movies, digital library items, etc. There are almost 2,000 museum items and over 160 boxes of archival materials. With the new building came more interest in and demand for library services. Overall use continues to rise. In a typical year the library provides about 115,000 circulation transactions, 30,000 computer sessions, over 400 library-sponsored cultural programs, and 450 community meetings. The library is a gathering place for the whole peninsula where one can often see patrons sitting outside the library at night using their computers on the wireless network. A comfortable area for young adults is located on the second floor. There are many events, including story hours, chess club, movies, play readings, author presentations, book sales, lectures, knitting, and music recitals. The library has truly become the community living room!